World premiere: For the very first time, the new Panamera features the newly developed 3D High-End Surround Sound System from Burmester®. Two additional loudspeakers in the A-pillars work with Auro 3D technology to generate a three-dimensional spatial sound pattern that is reminiscent of the best concert halls in the world. 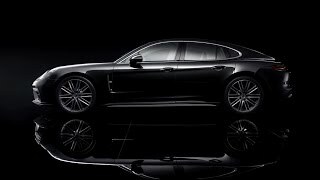 This optional system available for all Panamera models has a total power output of 1,455 watts plus 21 individually controlled loudspeakers – including a 400-watt, class-D subwoofer and a two-way centre system. 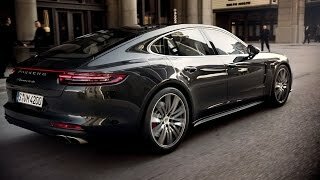 The first-generation Porsche Panamera was the starting point for something that had never been available before: a sportscar offering genuinely high-end sound engineered by music connoisseurs for music connoisseurs. Dieter Burmester personally took responsibility for the architecture and fine-tuning of a sound system that has been setting the standard for ultimate sound quality in series vehicles since 2009. And Burmester® sound systems have been available for all Porsche model ranges ever since. With the development of the new Panamera, the aim was to further improve the benchmark-setting performance delivered by the Burmester® sound system. More specifically, enhancing the emotional experience was the objective. To do this, state-of-the-art audio technologies were used, including powerful and highly efficient class-D amplifiers, intelligent algorithms to improve sound quality and the latest developments in Auro 3D processing. With these advantages, for the very first time the system in the new Panamera delivers a playback experience based on the best concert halls in the world. Conventional tuning measures also formed part of the development process, of course. For example, loudspeaker systems with a higher efficiency level have been implemented and the acoustically effective membrane area has been significantly increased. While the surround sound system in the first Panamera featured 16 loudspeakers, the new Panamera features 21 perfectly positioned loudspeakers, delivering an impressive sound experience. The system in the new Panamera comprises a total of four woofers, seven mid-range speakers, two broadband speakers and seven tweeters, as well as a subwoofer at the rear. Porsche is the only manufacturer to use the Burmester® Air Motion Transformer (AMT) in vehicles. The AMT technology – used for the front channels – is completely redesigned in the new Panamera and offers an efficiency level that has been increased by six decibels. The folded sheets of the new AMT loudspeakers have an oscillating mass that has been almost cut in half compared to the previous design, yet the size of the piston area remains the same. In addition, the centre channel of the sound system now also features two-way technology along with an AMT loudspeaker. This arrangement produces clean, clear sound and guarantees an extremely homogenous reproduction with highly realistic playback of instruments and voices, thus improving the voice quality of both the hands-free facility and the navigation system, too. 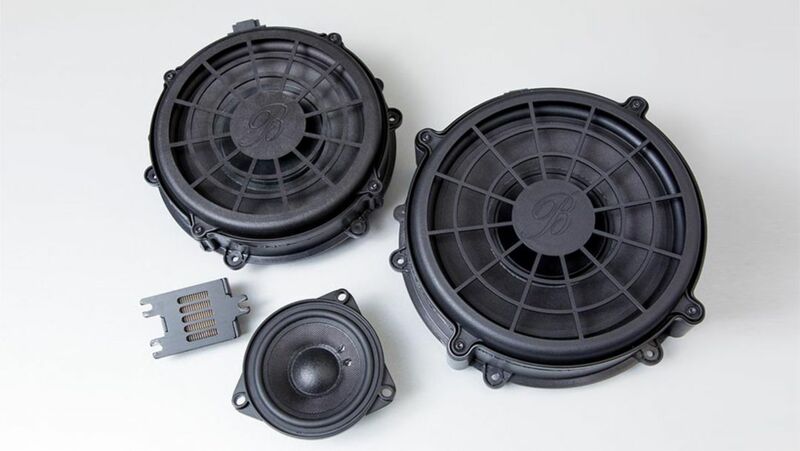 All of the drivers used in the Burmester® sound system are very durable and are now equipped with lightweight, torsion-resistant aluminium die cast baskets. The drivers are also positioned at the optimum location in the vehicle to avoid sound and efficiency losses, enabling not only the most dynamic performance, but also considerably more consistent sound development in the vehicle. Thanks to a maximum sound level of 126 decibels, the sound system also provides a well-balanced and dynamic representation of even challenging source material. Highly efficient class-D amplifiers control all 21 of the loudspeakers. The total power output has now been increased by around 40 per cent to 1,455 watts but with a considerably reduced level of energy consumption. 400 watts are available to the subwoofer alone. The amplifiers achieve an efficiency level of over 95 per cent, and because it weighs just 14.3 kg, the Burmester® sound system achieves a new optimum value of 0.009 kg/W for its power-to-weight ratio, as is tradition in the sportscar segment. The Burmester® 3D High-End Surround Sound System offers a realistic concert hall-style atmosphere in a vehicle for the first time. The developers made a conscious effort not to use any of the spatial sound effects common in cinemas — instead they wanted a format that focused on delivering the best-possible music playback. Working with Galaxy Studios based in Belgium, the team eventually implemented an algorithm developed especially for music in the Burmester® sound system. This algorithm produces a 3D musical impression that could previously only be experienced in concert halls. The Auro 3D processing format used for this purpose in a vehicle for the first time is distinguished by an extremely realistic spatial impression that can be generated from any source material – even mono sources. 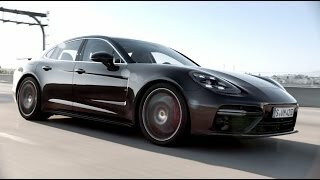 In the new Panamera, the 3D processing format makes it possible to subtly extend the sound in front of and even above the listener. The Burmester® sound system best showcases its spectacular sound quality when playing optimised, uncompressed and high-resolution music sources. However, the system still generates a clean sound experience when playing data-reduced musical material, such as Bluetooth-streamed content, digital radio or MP3 files. 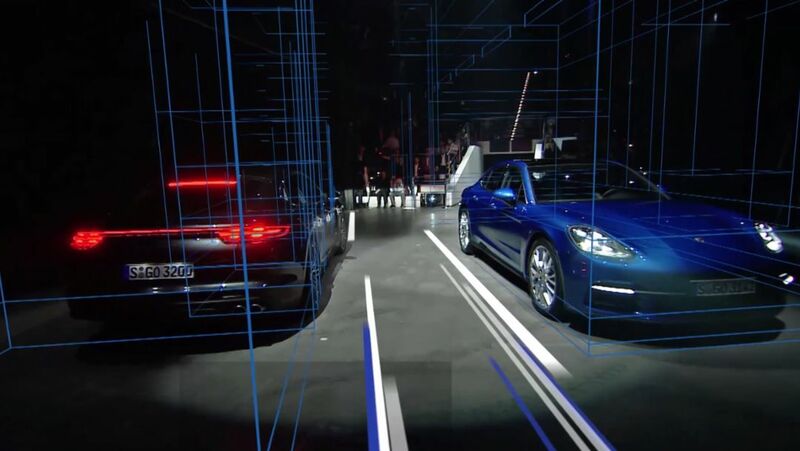 In addition, a special algorithm that restores the audio signal in line with the source material type has been used for the first time in the Panamera system. Negative influences on the sound quality resulting from limited bandwidth, encoding artifacts and pre-echo are effectively restored by the signal enhancement algorithm. The typical limitations on the dynamics of data-reduced music sources are also rectified in order to fully utilise the audio potential of the sound system. Naturally the signal enhancement process also benefits from all of the other features offered by the Burmester® sound system: A smooth function for relaxed long listening periods, a variable 3D function and the option to focus the sound on a certain seat are all available. With all of these enhancements, the new Burmester® 3D High-End Surround Sound System delivers an even more emotional and realistic sound experience than before. The ‘Sound of Porsche: Stories of the Brand’ has officially been opened in Westfield, Shepherd’s Bush.